It's Friday Favorite time! 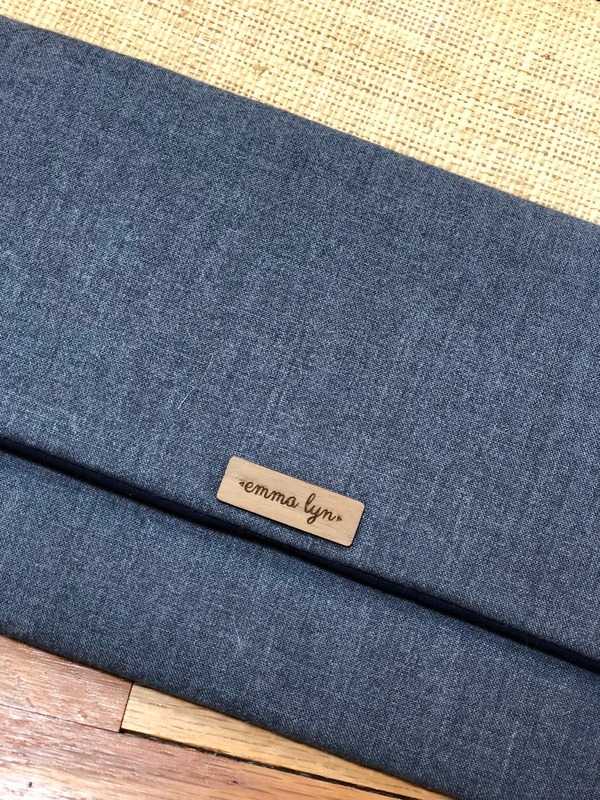 This week, allow me to introduce you to Emma Lyn Designs. All of Emma's designs are custom to you and what you want. I mean really, it's freaking awesome! 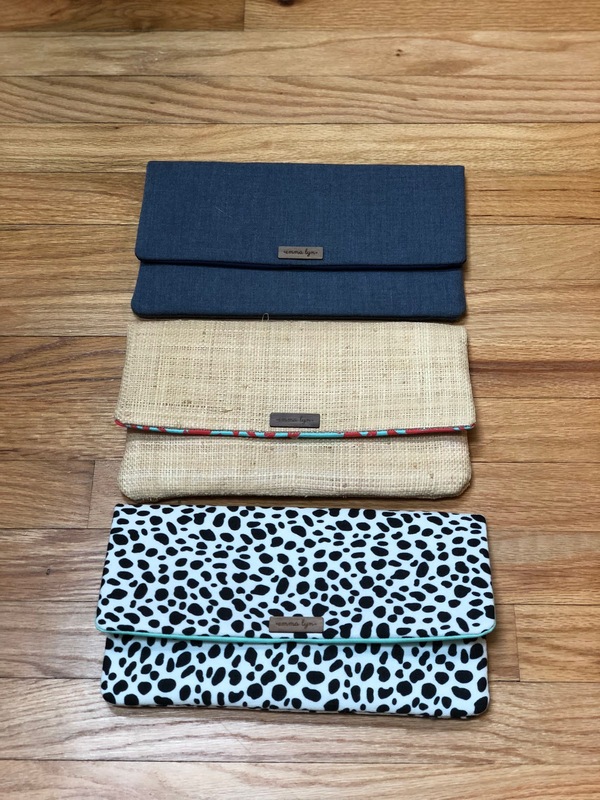 I have three of her custom clutches and want all of them. You choose everything when you design your clutch. 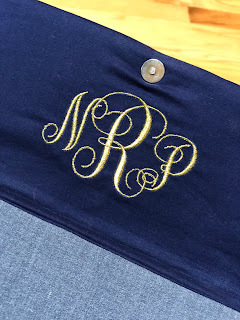 The size, the exterior fabric, the interior fabric, your pocket size, whether you want a chain, and even a monogram! 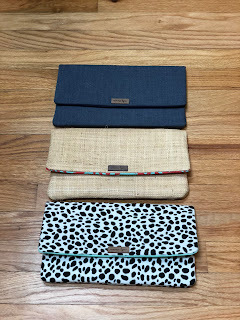 Her clutches can be used every day or for a special occasion. I bought my first one to use for a girls night and picked a basic, simple design with a chambray exterior, navy blue interior, and added my monogram in glitter gold on the inside for an added special touch. I truly love it and it started my addiction! Then, we were headed to Bermuda for a beach vacation and I wanted something "beachy" but didn't really have something that would work for me. Emma to the rescue! 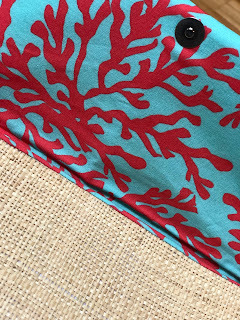 A classic, neutral raffia fabric exterior with a POP of turquoise and coral inside for fun. I love that the interior can be something completely fun to make you smile and the outside can be a basic neutral that matches everything! 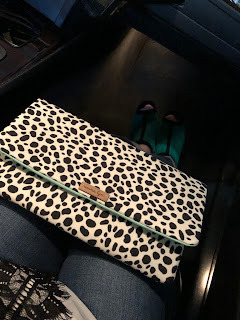 My most recent Emma Lyn clutch is this stylish black and white leopard print. And the best part?! It's spill-proof! I did the leopard on the exterior and a fun pop of turquoise/teal in the interior. 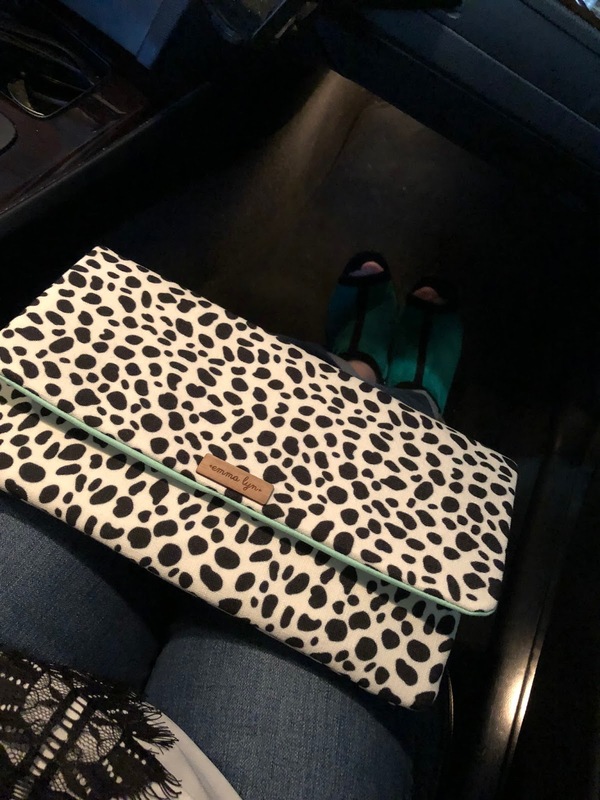 Every time I use one of my Emma Lyn clutches, I get stopped and complimented on them! I love how classic yet fun they are and the pride that Emma takes in her work is second to none. 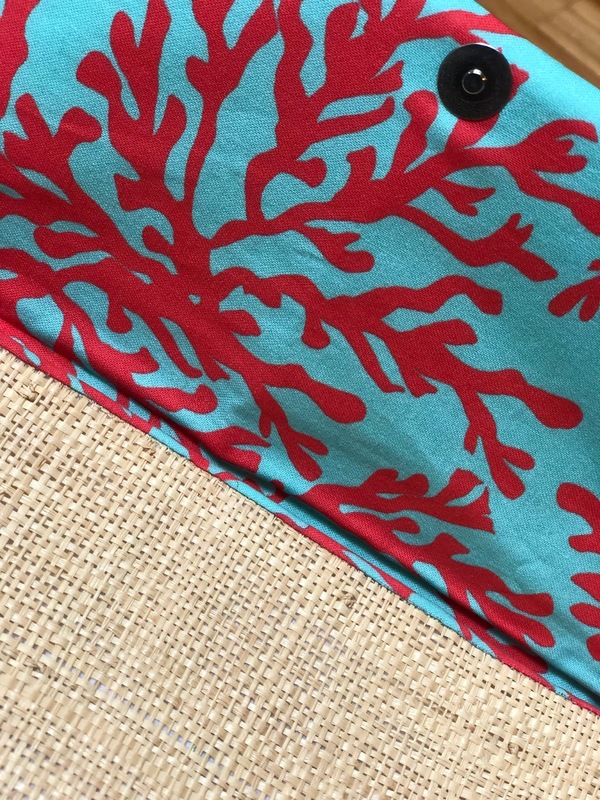 I'm debating between her navy and orange elephant print and her everyday palms for my next purchase!